Hi guys!!!! You all know how much I love Nordstrom!!!! This weekend marks the end of their amazing half yearly sale. I suggest you check it out. I listed some of my favorite things from the sale. 1) Free People Dress--- I love this boho style dress. It will look great with gladiator sandals!!! 2) Michael Kors Watch-- I have this watch in rose gold but I just love the two toned gold and silver mix. 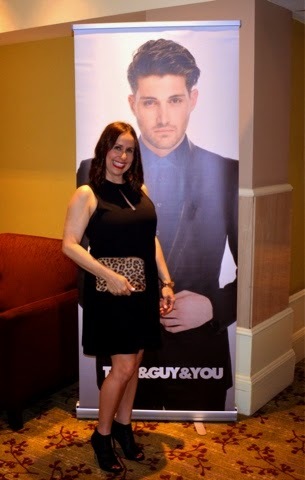 3) Theory Jumpsuit-- I love a great black jumpsuit. You can pair it with heels or wedges. I love this look. 4) Stuart Weitzman Nudist Sandal-- I am in love with this nudist heel by Stuart Weitzman. It is such a classic shoe and adding the leopard print instead of traditional black is so on trend. 5) J Brand Skinny Jeans--- The best time to stock up on the perfect skinnies!!! Just remember the Nordstrom Half Yearly Sale ends on Sunday May 31. I would love to hear about the pieces you picked up. Don't forget to follow me on Instagram, Facebook, Twitter and Bloglovin. Happy reading!!! Hi guys!!! 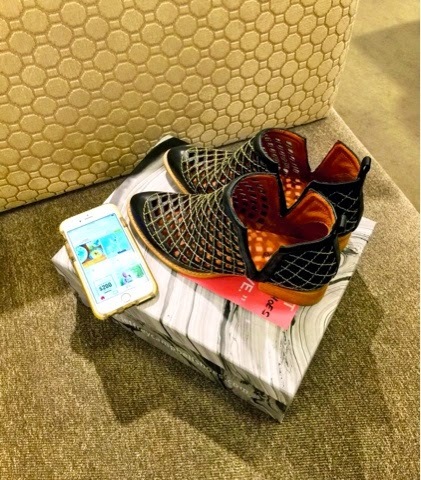 I'm so excited to share with you this amazing app I have been using called Shopular. Shopular is a free app that can save you lots of money!!!! 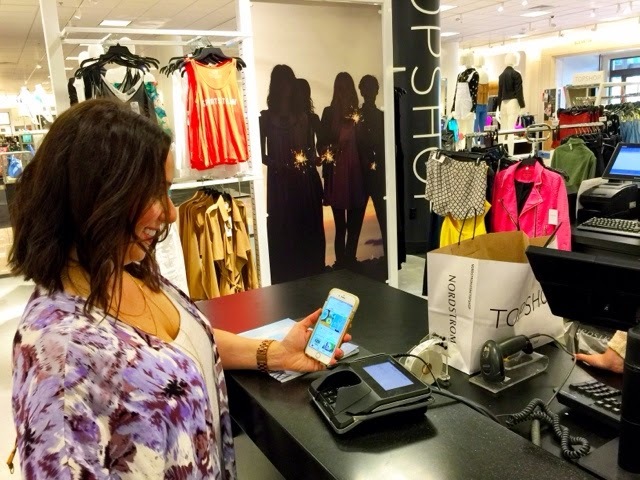 It has over 40,000 of the top retail locations in the US like Forever 21, Nordstrom, Target and Bath and Body Works. 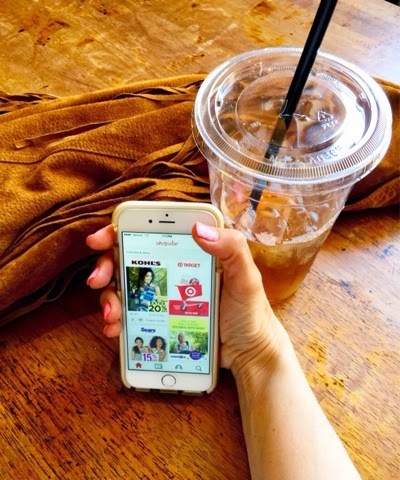 All you have to do is download the app on your mobile device and when you are close to one of your favorite stores or just arriving at the mall, Shopular shows you all of the deals happening that are relevant to you. 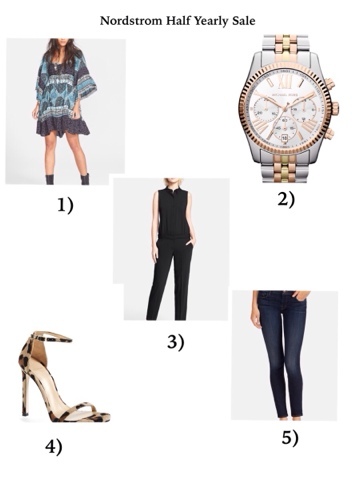 For example, I used it the other day at Nordstrom and it alerted me that the Nordstrom Half yearly sale was going on with up to 40% off of some of my favorite styles. What girl doesn't love shopping right? And who doesn't love knowing about the best deals at your favorite stores? I just think of Shopular as my shopping bff that never lets me miss a deal. I hope you check it out!!! Thanks to Cathy Cordas for photos and don't forget to follow me on Instagram, Facebook, Twitter and Bloglovin. Happy reading!!! Hi guys!!!! Hope you had a good Memorial Day Weekend!!! Today I wanted to talk about the perfect little black dress. I just love when I find a great little black dress. I got this one at Nordstrom and I am absolutely in love with it. I love the gold detail on the waist and the fringe. 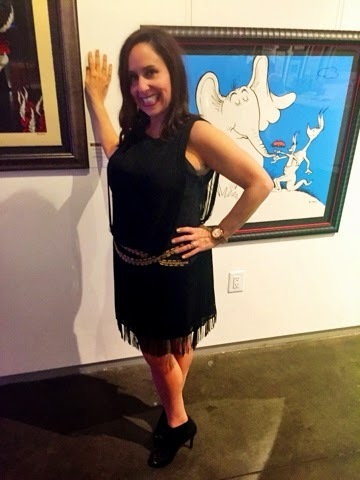 It is so flattering and I have worn it to dressier occasions as well as at a fun dinner out. 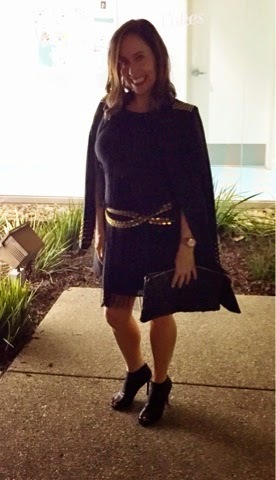 I love pairing a great black dress with the perfect black bootie and a clutch. 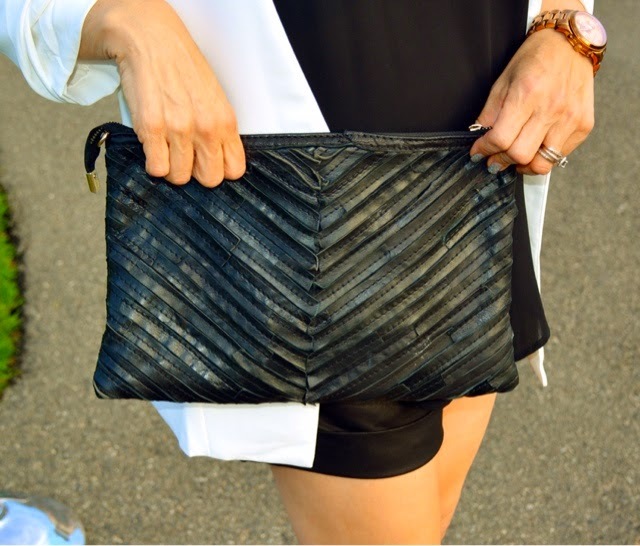 It is the perfect look for an evening out on the town. There are many versions of a the perfect black dress. You can choose from different fits (more form fitted or flowy and loose), whether it has detail or just plain, and if you opt for sleeves or sleeveless styles. Just remember to always pick the style that represents your personality best. And you all know how much I love wearing booties and dresses. But you can also wear a great black dress with a perfect heel, wedges, or flats. 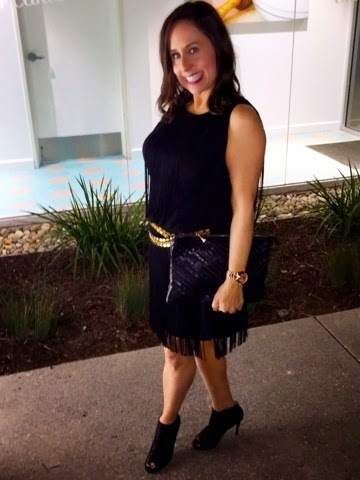 I would love you to share in my comment section on what style black dress you prefer and what shoes you like to pair with it. Thanks to Cathy Cordas for photo editing and remember to follow me on Instagram, Facebook, Twitter and Bloglovin. Happy reading!!!! Hi guys!!! Today I'm giving you a sneak peak into the wonderful world of Manna Kadar Cosmetics. 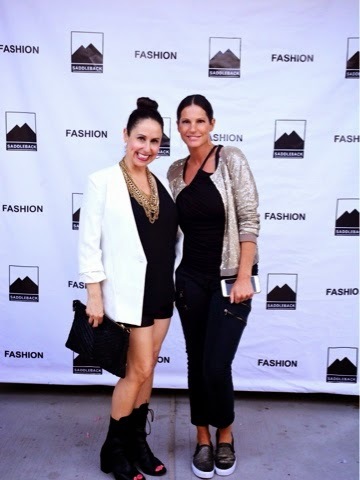 Manna is a cohost with me on Fashionista Now Boarding. 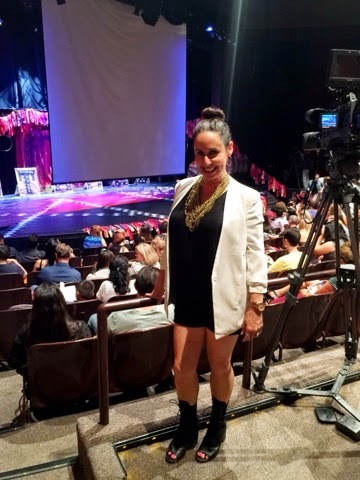 I interviewed her last week (which will be airing on Fashionista Now Boarding on Channel 63 Fridays at 6:00am). She gave me the full scoop on her new beautiful studio and headquarters as well as some inside tips on her favorite products. Don't forget to tune in for the complete interview. 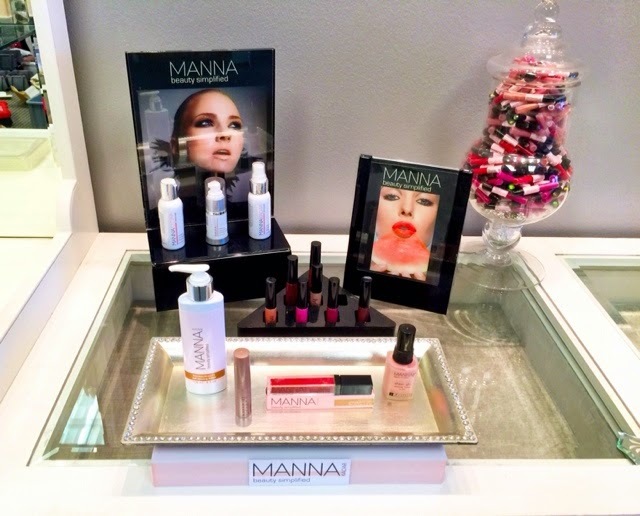 I am absolutely in love with Manna's products. I think my current favorites are the lip stains and the eye shadow sticks. What I love most about these products is that they are multi functional, meaning one product serves many different purposes in your makeup drawer. Manna Kadar’s lip stains are not only long-wearing, but have a primer and lip stain all in one. It also keeps lips moisturized, contains vitamin A & E & berry extracts and are Paraben free, allergy tested, and cruelty free. The eye shadow stick is so easy to use. It can be applied on the eyes as a shadow base or shadow as well as a highlighter on the cheekbones. 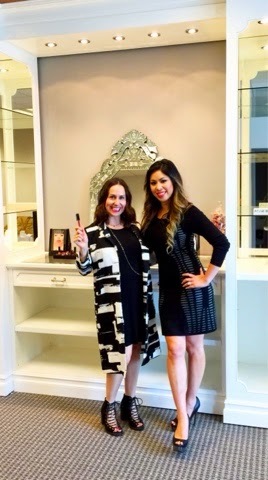 I can't wait to share with you more from Manna Kadar Cosmetics. Stay tuned!!!! 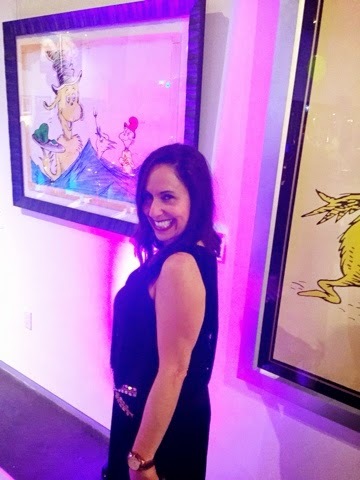 And thanks to Cathy Cordas for photos and don't forget to follow me on Instagram, Facebook, Twitter and Bloglovin. Happy reading!!!! Hi guys!!!! I just love the color combination of black and white, don't you? 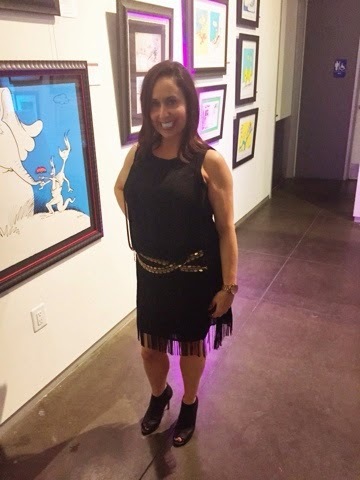 Cathy and I recently attended a fashion show in Mission Viejo and I decided to wear this all black outfit and give it a punch of white. I think this look is so chic. I wore a black basic shirt ( by Lush-- one of my favorite lines for basics) paired with my amazing black leather shorts. I am in love with these shorts and picked them up a few years back at the Nordstrom Anniversary sale. I wanted to dress up the outfit a bit more, so I added a great white boyfriend blazer. This touch of white really jazzed up an otherwise basic look. 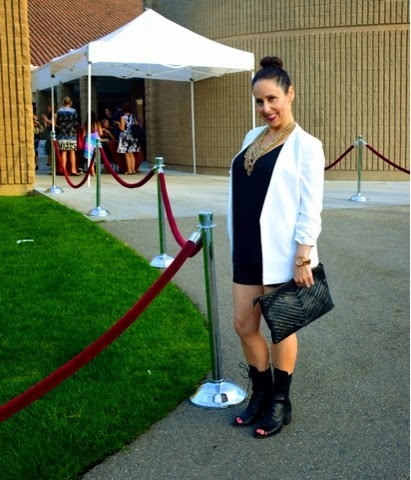 I completed the look with a great statement necklace, black booties and a clutch. And don't forget to try wearing your hair in a bun and adding some red lipstick once in a while on an evening out. This is one of my favorite ways to completely change your look. So try the black and white combination at one of your next nights out. Let me know what you think and how you put this look together!!! Thanks to Cathy Cordas for photos and don't forget to follow me on Instagram, Facebook, Twitter and Bloglovin. Happy Reading!!!!! Hi guys!!! Happy Friday!! I wanted to share with you some fantastic new products I have been using (and some of my girlfriends have been using too). Lately I have noticed those little fine lines and wrinkles on my face and eye area. 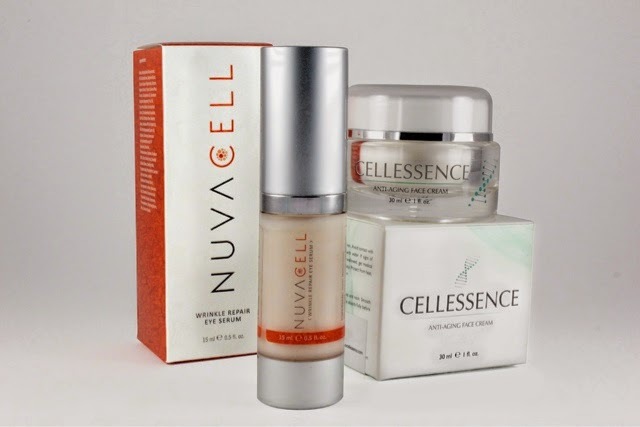 I am always nervous trying new products, especially on my face, but I decided to give Cellessence Anti-Aging Face Cream and NuvaCell Wrinkle Eye Serum a try. I am so happy I did, because after using these for the past few weeks or so, my skin looks tighter and refreshed. The lines around my eyes and mouth area are less noticeable. These products have worked so nicely on my skin. Cellessence Anti-Aging Face Cream is deeply hydrating . All you need to do is use a pea sized amount of the cream on your face and neck. I started from the chin going upward. 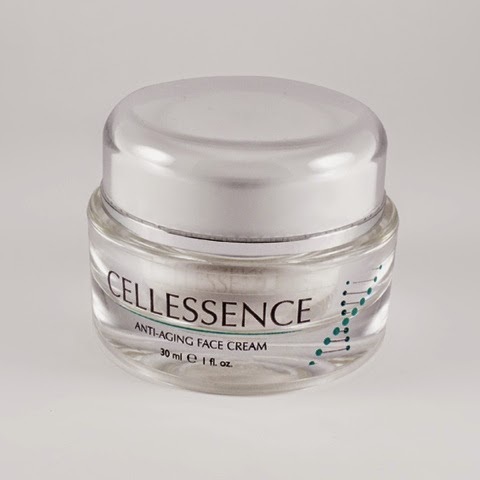 Cellessence Anti-Aging Face Cream uses many natural ingredients that have specifically been proven to increase hydration, smooth wrinkles and fine lines, improve skin density, boost antioxidant activity, and stimulate DNA repair to help with cell regeneration. I highly recommend trying this cream. It has helped hydrate my skin. Whenever I have a facial, the esthetician always tells me my face is dehydrated, which leads to wrinkles and dry looking arguing skin. I finally found a product to really help me with this issue. 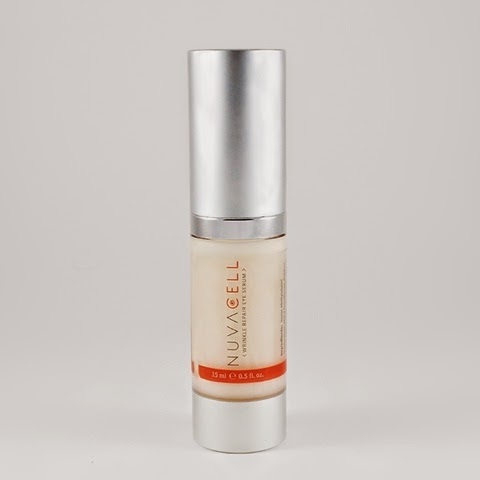 The other product I want to share that I have been also trying for the last couple of weeks is the Nuvacell Wrinkle Repair Eye Serum. No matter what your age is, we all need a good eye serum to help reduce lines from the environment and squinting. I have tried many different eye serums and creams. Some have been greasy, and too thick in consistency Nuvacell is the perfect combination of of a lighter consistency and goes on smooth. Nuvacell helps with our problem eye areas by reducing lines around the eye, removeing dark circles, reducing under eye inflammation and hydrating the skin. I absolutely love this product and am using it every night. I have seen such improvement in reduced lines and puffiness around my eye area. I highly recommend it. So ladies make a great investment in these two products. I think you will love them as much as I do. Please leave comments for me in the comment section and let me know what you think. You can also follow me on Instagram, Facebook, Twitter and Bloglovin!!! Happy reading!!!! Hi guys!!!! 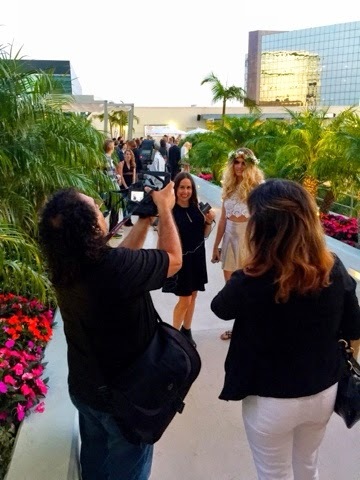 Cathy and I were on location last Sunday night at the Toni and Guy Hairdressing Academy Silver Screen 5th Annual Student Soiree. 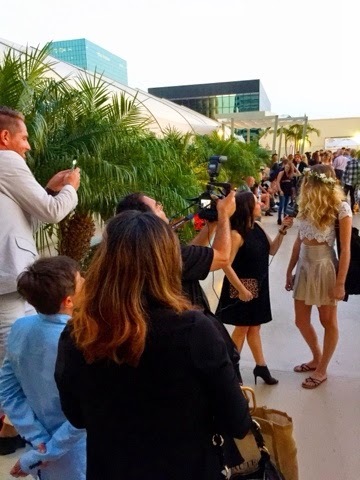 It took place at the Westin South Coast Plaza. 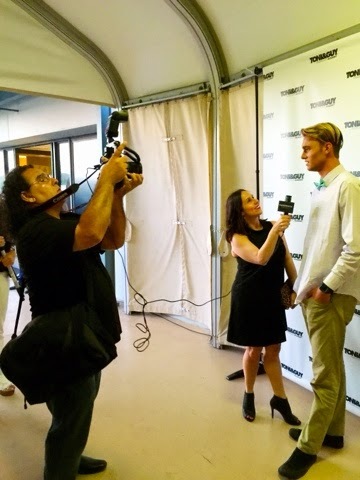 We were covering this event for Fashionista Now Boarding, which airs every Friday morning at 6:00am on Channel 63 (Set your DVR's). 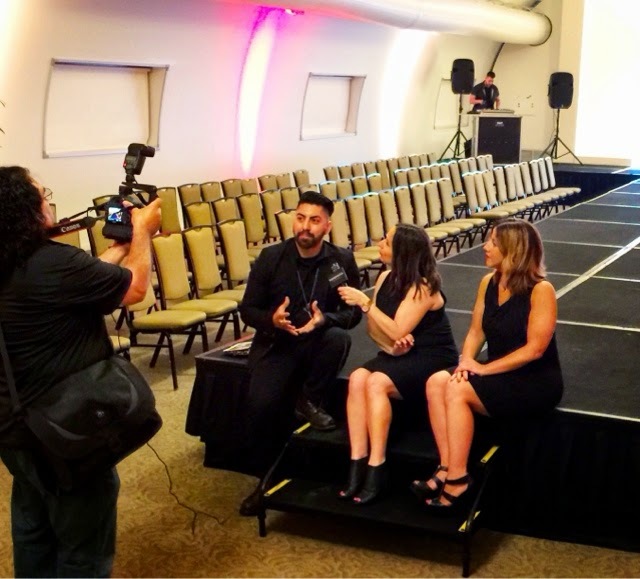 This Friday, my interview with the Toni and Guy models and stylists, as well as Rachel Brumbaugh, the head of the Toni and Guy Academy in Costa Mesa will air, so please tune in and let me know what you think!!! 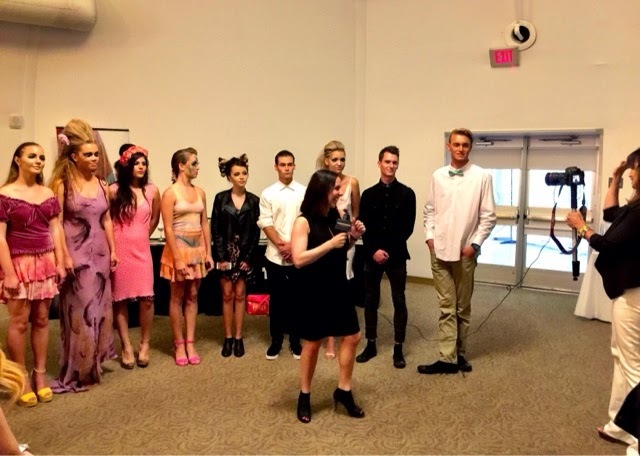 Once a year, Toni and Guy Academies all over the world host a student soiree. This is a tradition that is so important to a student's education as it builds leadership, creativity, and technical and artistic skills. 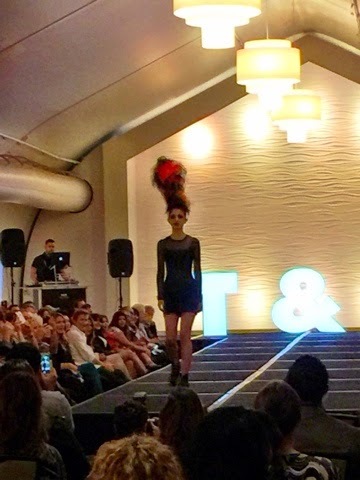 The Costa Mesa campus of Toni and Guy shared this tradition by hosting this amazing show. Six films were represented in the show: 1) Hairspray showcased hairstyles and fashion from the 1960's focusing on vibrant colors and bold eyeliner; 2) Avatar was inspired by the primal themes from the movie with long braided looks, colorful makeup and edgy outfits; 3) Beetlejuice was a fun look at the dream sequence in the film with pops of color and a macabre style; 4) 5th Element drew inspiration of a combination of old classics and innovative hair, wardrobe and makeup; 5)Hunger Games was inspired by Avant Garde hair and bold makeup and wardrobe and 6) Gatsby focused on the roaring twenties with a contemporary twist. This was an incredible evening that showcased incredible new up and coming talent. So don't forget to tune in to Fashionista Now Boarding, Channel 63, 6:00am Friday mornings to see this interview and more on style, fashion and blogging. Thanks to Cathy Cordas for photos and don't forget to follow me on Instagram, Facebook, Twitter and Bloglovin. Happy reading!!!! Hi guys!!! Hope you had a great Mother's Day. I'm so excited to share with you an amazing clothing line called n: Philanthropy. n: Philanthropy is a collection created in Los Angeles with inspiration taken from the streets of Paris. 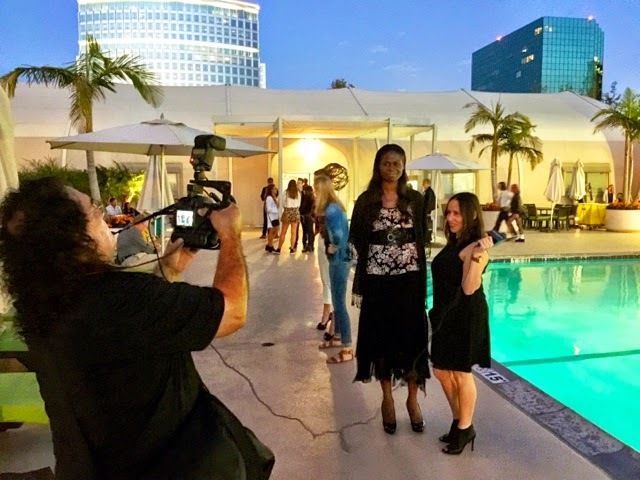 Owner Yvonne Niami is a philanthropist herself and wanted to create fashion with a philanthropic purpose. Cathy, Jessica and I were lucky enough to get a visit at the n: Philanthropy headquarters in Downtown Los Angeles. 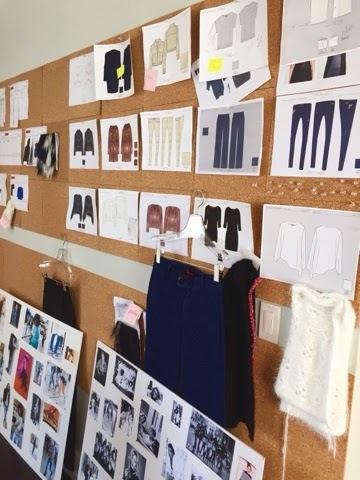 We got to see some new designs for the upcoming seasons. 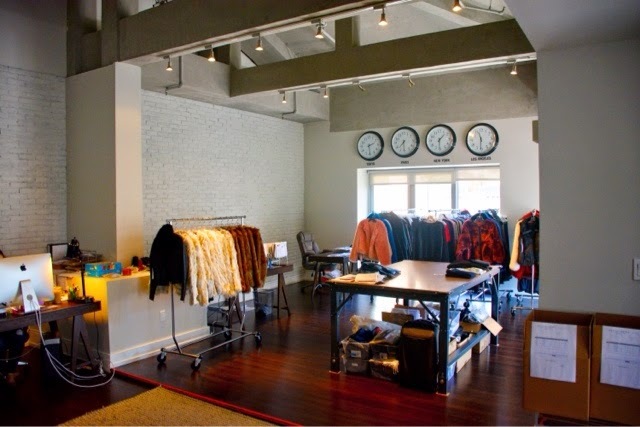 n: Philanthropy is a full collection apparel company with a chic, sporty point of view. You can wear these pieces out on the town with heels or just running errands, and you will always look like a fashionista. Yvonne was kind enough to show us some of her amazing pieces. 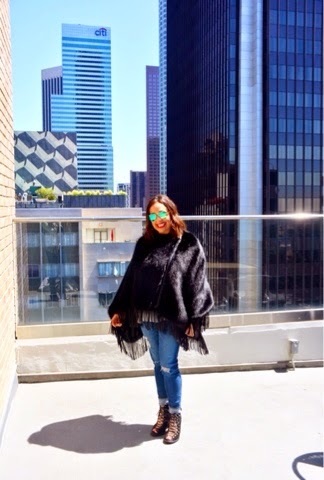 I am obsessed with all the faux fur vests and jackets, and the jeans were stretchy, soft and comfortable. She also showed us an unbelievable fringed skirt (that was one of my favorites) as well as an adorable cutoff sweatshirt that is currently in magazines featuring Katie Holmes. Besides the amazing designs and quality of the pieces, n:Philanthropy has an important mission: 10% of profits are donated to support pediatric cancer (Children's Hospital Los Angeles), and animal abuse prevention (Society for Prevention of Cruelty of Animals Los Angeles). What I thought was a great detail to the designs was that in every pair of pants and jeans there is a secret message: btw-you just helped a child and animal in need-good work. I just loved my day getting a tour and learning about n: Philanthropy. Thanks so much Yvonne. And please check out n: Philanthropy . You can also find n: Philanthropy in department stores including Neiman Marcus very soon!!!! And P.S. the adorable hair accessories were provided by BeautiBox. Look out for an upcoming posts on this must have product coming soon. Thanks to Cathy Cordas and Jessica Ragan for photos!!! Happy reading and don't forget to follow me on Instagram, Facebook, Twitter and Bloglovin.